The closest settlement to the head of the harbour on the south side is Omapere. 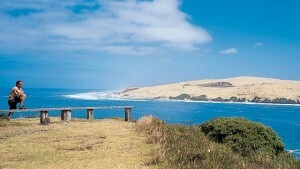 The area is very significant because Kupe, the founder of Aotearoa New Zealand is believed to have left from here to return to his land of Hawaiki. Also at Omapere is a fascinating museum, manned by volunteers with extensive local knowledge. On your way to the Waipoua forest take the time to stop at the lookout point which is found just up the hill after leaving Omapere. The panoramic views from the lookout point are truly magnificent - look from the Tasman Sea in one direction, then scan to the sand dunes and then down the far reaches of the harbour. At the lookout point there are signboards with an informative display of the Maori significance of the area and the events after Pakeha came to the region. A walking track takes you down to small beach at the harbour entrance. This photo shows the Signal Station with discs arranged to convey a message to a sailing ship. At the western end of Omapere is Signal Station Road that leads to Arai Te Uru reserve with great views of the harbour entrance and the Tasman Sea. 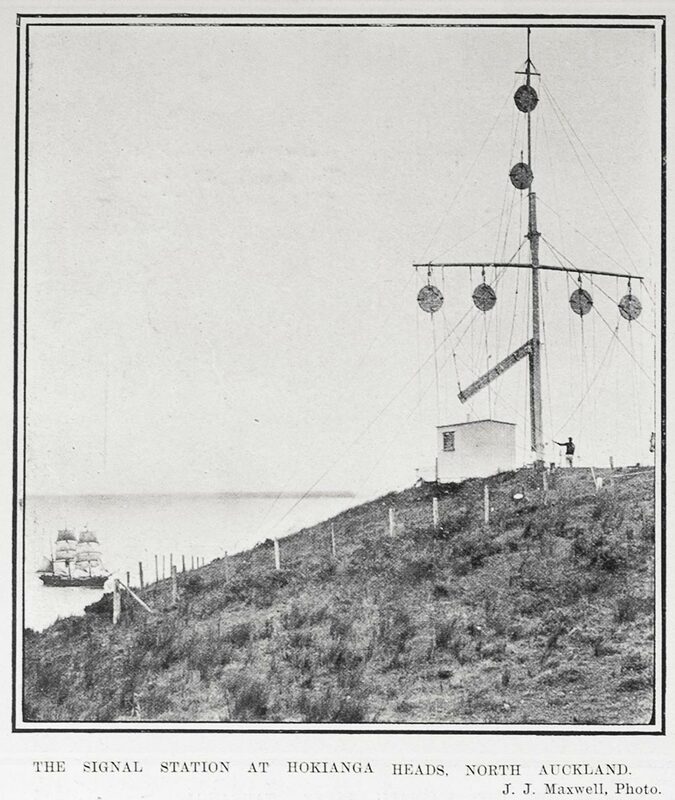 The signal station was erected in 1838, in 1898 a light was added, and in 1951 the signal station was closed. You can still see the remains of the signal station.